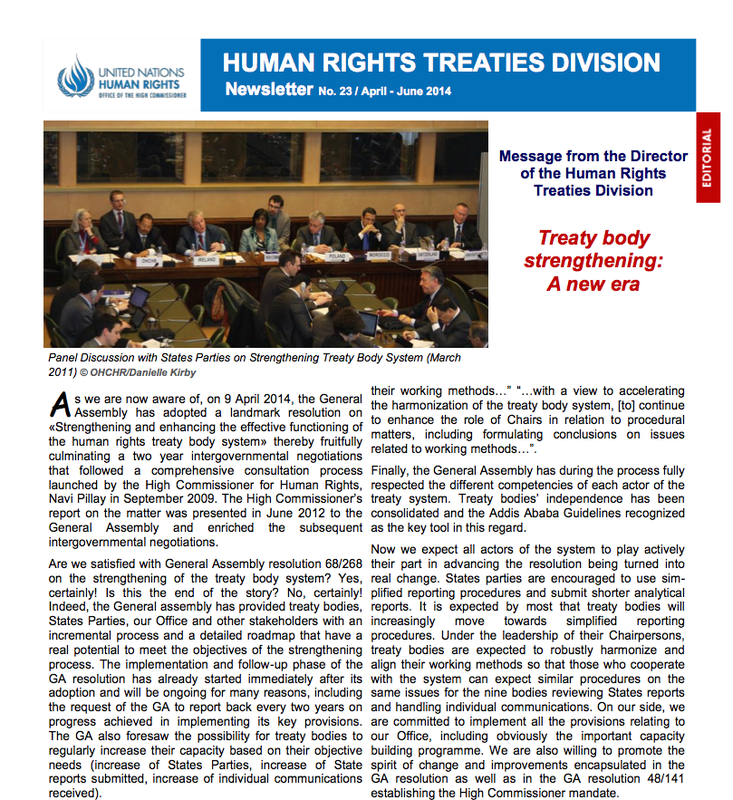 The Human Rights Treaty Division of the UN Office of High Commissioner for Human Rights has issued its latest quarterly newsletter on the treaty system, covering the period April to June 2014. For anyone following developments of the human rights treaty system, the newsletter contains much useful information and can be downloaded from the official UN website. The time period covered by this newsletter has been particularly important, including the final stages of the UN General Assembly's approval of its resolution on treaty body strengthening (Res 68/268 of Apr 9 2014), and the elections/re-elections of four of the core human rights committees (50% of each committee is elected/re-elected every 2 years). 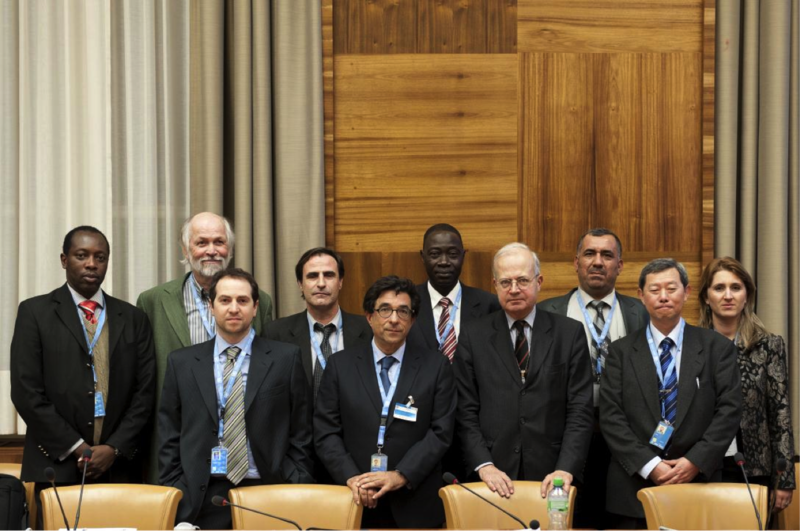 I also found the photo on p. 8 of the newsletter helpful, identifying the members of the Committee on Enforced Disappearances, the newest treaty body added to the system. This is number 23 in the quarterly newsletter series, which began in 2010 and has been issued somewhat intermittently since then. The newsletter is a useful information source for those of us following human rights treaty developments, especially if the content continues to cover new developments and the regular quarterly publication schedule can be resumed.